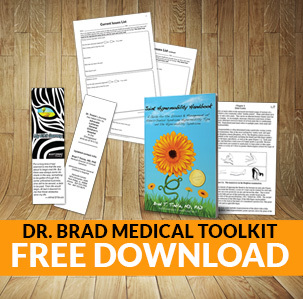 Bendy Wendy and the (Almost) Invisible Genetic Syndrome: A Story of One Tween’s Diagnosis of Ehlers-Danlos Syndrome / Joint Hypermobility – A story of one tween’s diagnosis with Ehlers-Danlos Syndrome / Joint Hypermobility is available in paperback on Amazon. As soon as she’s about to realize her ultimate aspiration of making the cheerleading squad as a flyer, Wendy worries that her dream will be shattered by constant physical issues plaguing her during rigorous practices and performances. On the outside, Wendy looks perfectly ‘normal, ‘ but clearly something more is going on. Join Wendy and her parents on their journey through a diagnosis and revelations of Ehlers-Danlos Syndrome / joint hypermobility, an ‘almost’ invisible genetic syndrome. “Bendy Wendy and the (Almost) Invisible Genetic Syndrome… A story of one tween’s diagnosis of Ehlers-Danlos Syndrome / joint hypermobility” was written to fill a need for families, children, and tweens that find themselves in a position of understanding and explaining, in basic terms, Ehlers-Danlos Syndrome and the issues associated with it. 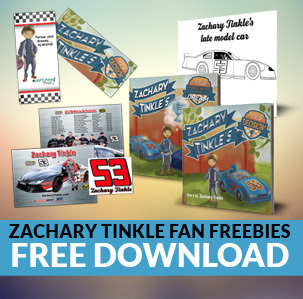 It’s been thoughtfully developed by bone and connective tissue disorder expert Dr. Brad T Tinkle and his award-winning children’s book author wife, Laurren Darr. For almost a decade, they had dinner-time conversations on how to better serve and reassure children and families affected by Ehlers-Danlos Syndrome / joint hypermobility. 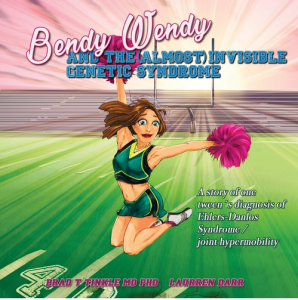 “Bendy Wendy and the (Almost) Invisible Genetic Syndrome… A story of one tween’s diagnosis of Ehlers-Danlos Syndrome / joint hypermobility” is the culmination of that goal.